Michael Fish was born 1940 in Wood Green, London. He began his career in fashion in a respectable fashion house - Collet, in the mid-1950s. Fish was apprenticed in shirtmaking, and by the early 1960s was designing custom-made shirts at traditional men's outfitters Turnbull & Asser of Jermyn Street. His arrival at the company was a breath of fresh air for it. His strong imagination and colorful designs helped the company to move beyond conservatism and be up to date. 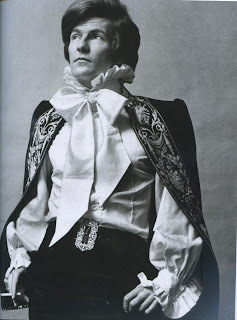 His shirts were floral in pattern and often included ruffles and other adornments - the cut was also changed. 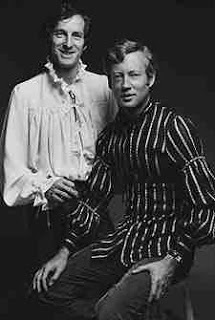 In 1966, after 9 years at Turnbull & Asser and a short period as John Steven's assistant, Michael Fish opened his own store called 'Mr. Fish'. Barry Sainsbury - a rich young entrepreneur from the upper middle class with good social connections - was his business partner. Their idea was to sell luxury modern clothing for elite customers. The boutique was situated on 17 Clifford Street, Mayfair, West London. 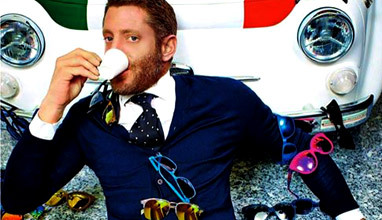 The exclusiveness of the store is determined by the high prices - usually about £35 for a jacket, £100 - for a suit, and £8-20 - for a shirt - defined by the generously used expensive fabrics. The originality of the Mr. 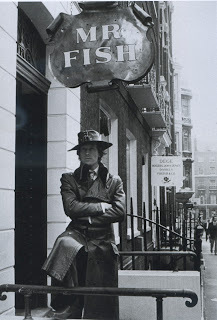 Fish clothes was expressed in the slogan written on his shopping bags: 'Peculiar to Mr Fish'. The store was famous for its colorful silk and cotton shirts, usually with quillings, ruffles and plastrons, freely flowing around the body. Another typical for Mr. 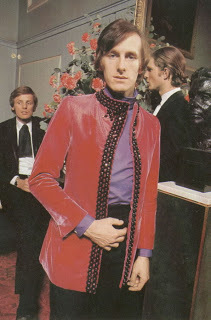 Fish design was the velvet jacket - double-breasted, narrow and fitted. 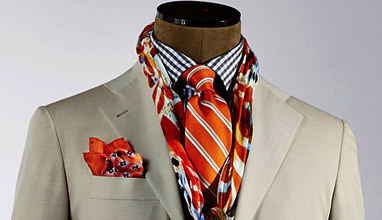 He also ushered in wider neck ties in wild patterns - later called the 'kipper tie', a pun on the designer's surname. Fish was also one of the first designers making men's dresses. 'I always believed men are not physically designed for trousers. Fashion, you see, is in the mind. You have to think differently before you can dress differently', he said. The most memorable is the white dress worn by Mick Jagger for the Rolling Stones Hyde Park charity concert on July 5, 1969. 'I do not care about taste. I think the taste is a word like love; it must be forgotten when you are 50, and I do not even know what that means. In fact, I think I'm very vulgar. Revolutionaries must be vulgar'. 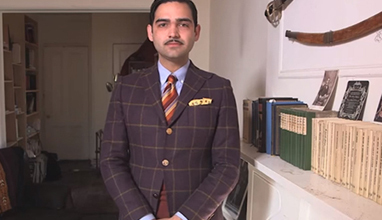 He managed to create the flamboyant chic - it's an attempt to question the traditional notions of dandyism. The success of his store and the list of his celebrity customers (including Peter Sellers, Lord Snowden, The Rolling Stones, David Bowie and Mick Jagger) entitles him to remain a reliable authority on fashion. It is important to say, however, that his success did not last long. Replacing Barry Sainsbury as an investor led to financial losses and the decision to close the store in the early 1970s. Michael Fish tried briefly to resurrect his business in 1974, but the idea of the boutique fails, he retired from the fashion world, and spent the rest of his days as a nightclub owner. However, the significance of his boutiques should not be underestimated. 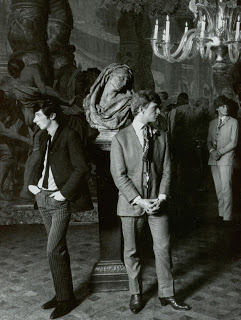 A large collection presenting his projects at Victoria and Albert Museum is a proof that between 1966 and 1970, he was one of the most important fashion designers in Swinging London, the inventor of the Peacock style, rebuilding of the unfading chic of dandyism.